Is this serious? Apple cracks the code with this amazing, new security feature. Try, try, and try again. And then that's it. Thanks to MK for sharing this one. This cracked me up. IKEA electronics. Is this the final hex screw in big box electronics' coffin? This is no way to die: being beaten by a company that sells particle board and stick figure instructions. If things weren't already tough enough for big box retailers of electronics such as Best Buy, what new competitor should come along but IKEA. Ja, IKEA. Sure, IKEA was already pushing white goods such as dishwashers. But now they mean entertainment, selling furniture with televisions and Blu-Ray players embedded. Nordical practical stuff. The actual eGuts will be made by TCL in China, but the pieces come to you with love from Sweden. Things aren't snapping together for big box electronic retailers. Is it soon time for the IKEA smartphone and MVNO? 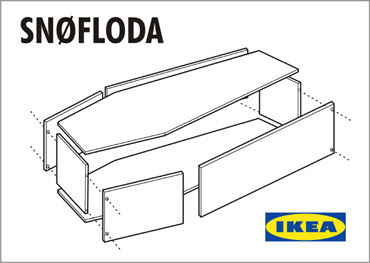 IKEA eGoods. Is this the final hex screw in Best Buy's coffin?